Located in Burbank, Ca, the Lockheed Skunk Works (PS-11) was the birthplace of the F-117 aircraft. The gain of valuable engineering data during the Have Blue flight test program led to a Full Scale Development (FSD) decision by the Air Force. A contract was awarded to the Lockheed Skunk Works on November 16, 1978. The original order was for five FSD test aircraft and 15 production articles. The initial F-117, Aircraft 780, was delivered 28 April 1981 and subsequent production lots of varying quantities yielded a total of 64 aircraft built and delivered through June 27, 1990. As of May 2001, 51 production and 3 FSD test aircraft are still active. Streamlined management by Aeronautical Systems Center, Wright-Patterson AFB, Ohio, in close coordination with the Skunk Works, combined breakthrough stealth technology with concurrent development and production. The result of this effort, shrouded in secrecy rivaling that of the Manhattan Project to develop the atomic bomb, was a declaration of Initial Operational Capability (IOC) after delivery of the fourteenth F-117 on October 28, 1983. Incredibly, IOC occurred in just under five years after production go-ahead, about half the time for most programs. The Burbank plant was closed in 1992 and all manufacturing, engineering, and testing operations were transferred to Palmdale, CA, PS-77. The United States Air Force, at the beginning of the F-117 program, had an acquisition command (Air Force Systems Command) and a support command (Air Force Logistics Command). The F-117 program was begun by AFSC using a carve-out System Program Office (SPO) established within the Aeronautical Systems Center (ASC) at Wright-Patterson AFB, Ohio. At an early date in the program’s development, AFLC was brought in by including a few individuals who worked in Detachment 6, 2762d Logistics Support Squadron (SP), under the HQ AFLC/AZ Special Projects Office, located at WPAFB, OH. Det 6, located at Norton AFB, CA, (PS-33) provided critical logistics support for the SR-71. Even though the SR-71 was no longer a strictly black program, Det 6 provided a handy cover for AFLC’s participation in the program, plus a pool of logistics specialists, with black program experience and the required security clearances, who were familiar with the Lockheed Skunk Works and who were located in close proximity to Lockheed’s Burbank plant. Chuck Rieger was the senior member of Det 6 who was chosen to form and lead the cadre of AFLC participants. This cadre was begun in late 1978 or early 1979, and included key individuals Don Wallace, Fred Grimm, Ken Kelly, and Hank Ortiz, plus others. The Det 6 commander, Col Marcus Smith, provided military oversight for the cadre and handled protocol with AFLC and the host base. Quite early in the program, Program Management Responsibility Transfer (PMRT) from the SPO to the Det occurred for the engine, the ejection seat, the technical publications, and most of the support equipment, along with numerous other smaller items. 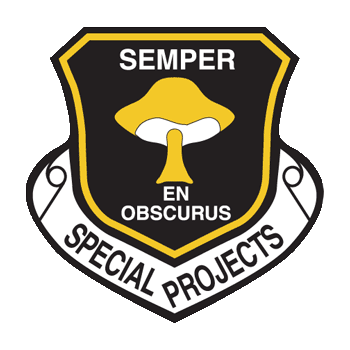 As the “article” developed and the program grew, AFLC’s cadre grew and was designated the Special Projects Division of Det 6. Contracting, Finance, Administration, Item and Production Management, Technical Order Management, Supply System development, and oversight of the contractor depot operation were all accomplished within the Det. In addition, an Air Force Audit Agency “black” auditor, responsible for all black programs in the area, was resident in the Detachment facility. Eventually, as IOC approached, the Special Projects Division reached a strength of approximately 90 individuals, with plans to expand to over 100. Several facets of the Detachment’s support to the program were unusual, generally caused by the level of security required. For one, the operating base did not have Base Procurement, so all purchases necessary to outfit and, in certain cases, sustain, an operating Air Force base (PS-66) were made by the Norton AFB Base Procurement office under the auspices of the Det. This was in addition to the depot level support provided. The Skunk Works initially furnished transportation for all material sent to the operating base, but the majority of this work transitioned to the Det in 1984 when Diablo Trucking Company was established as a secure carrier for program material. Another area that required careful attention in the Det was monitoring “white world” developments on hardware that was also used in the F-117, especially the ejection seat. In addition, Detachment people were instrumental in the weapons certification work. In 1983, the Commander of AFLC announced a desire for East Coast and West Coast black depots. McClellan AFB was chosen as the West Coast depot, and the F-117 was chosen as the first program under its cognizance. Chuck Rieger briefed an initial group of 14 individuals from McClellan, led by Lt Col (Colonel select) Ed Moore, into the program in September 1983. The black depot at Sacramento Air Logistics Center (SALC) was designated SM-ALC/QLA and was established on 1 October 1983. On the same day, the Norton AFB contingent in Det 6 was activated as Detachment 51 of SM-ALC, with the Detachment commander reporting to Col Moore. At that time, Col Moore was chief of QLA and was also the F-117 System Program Director. This began a transitional period for the AFLC participants in the program. Plans were soon made to move the support work to McClellan AFB (PS-88) and close the Detachment, so a gradual transfer of responsibility was begun. As SM-ALC/QLA’s capability grew and as Detachment incumbents departed for other jobs, work was transferred to McClellan AFB employees performing temporary duty at Norton AFB. Finally, the people and warehouse assets were moved to McClellan in June-July 1985 and the Detachment was deactivated. General Electric produced the F-117’s F404-GE-F1D2 engines at the company’s plant in Lynn, Massachusetts (PS-44). Air Force engines were picked from the stream of US Navy production engines going to the F-18 program. After movement to a secure area, some of the F1D2-unique parts were added and the engines were delivered to the Skunk Works plant in Burbank, CA, for installation in production F-117s. The Lynn plant also produced the critical/sensitive tailpipes required for, and unique to, the F-117. Early tailpipe modifications were performed at Lynn, but this work was later moved to Aztec, a specialty metals company on the West Coast, which was an important part of program sustainment for several years. The Lynn plant also provided ongoing Engineering and Program Management support. In addition to conducting periodic Engine Program Management Review (PMR) and other meetings, GE program participants kept the Air Force’s Engine Manager at PS-33, and later at PS-88, apprised of Navy developments and furnished copies of Navy service bulletins. As the Navy accumulated experience and flying hours on this engine more rapidly than the Air Force, this was a valuable source of information about engine aging. Kits for those Navy service bulletins chosen for Air Force adoption were purchased at a savings compared to stand-alone buys because the Navy paid for the engineering and because there was the opportunity to piggyback on Navy quantity buys. One modification that originated with the Air Force, and was therefore engineered by the Air Force, was the Ecology Kit, an apparatus to catch and recycle waste fuel that normally was dumped overboard on engine shutdown. The kit was needed to avoid damage to aircraft coatings caused by the dumped fuel. Even though the PS-44 designation was later dropped, the Lynn plant has continued active participation in the program and still provides management and technical support. In order to support the program in its early days, GE established a depot for the engines in a commercial overhaul plant next to the Ontario, CA, airport (PS-55), once again piggybacking on the Navy F404 program. Since the program was black, only a couple of GE employees at the depot were briefed. Their function, once the engines were covertly delivered from PS-33, was to double check for any identifying material and remove it, if found, and to then send the engines through the line mixed in with the numerous US Navy engines going through the depot process under a Contractor Logistics Support (CLS) contract. After the engines were completed, they were delivered back through the PS-11 or PS-33 warehouses to the appropriate program sites. Later in the program, PS-55 was closed and the engine depot moved to the Navy depot facility in Jacksonville, Florida, where the Navy performed the work under a Depot Maintenance Inter-service Support Agreement (DMISA). This was more cost effective than buying additional GE tooling that would duplicate the Navy tooling at Jacksonville. Beginning in 1982, the 4450th Tactical Group operated the F-117 during the first years of its existence at the Tonopah Test Range (PS-66). This covert facility in central Nevada, at the north end of the Nellis complex, enabled the concurrent development and production of the F-117 to continue far from the prying eyes of the media. By late 1989, as the F-117 was reaching maturity and was now a publicly acknowledged program, the Air Force wanted to redefine its operating command as a combat unit versus a test organization, which was the 4450th Tactical Group’s (TG) heritage. In October, 1989, the 4450th was deactivated and became the 37th Tactical Fighter Wing, which continued to operate the F-117 through its first combat employments. A depot was established in 1984 to accomplish repairs and install modifications on the aircraft. This depot, first located in Lockheed’s Palmdale Plant 10 (PS-77), eventually took the place of Lockheed Depot Field Teams performing the depot work on site at PS-66. Half of an existing Lockheed hangar, Building 602, was secured, and appropriate fencing was installed around it, including a taxiway gate to allow C-5s into the vicinity of the building for loading and unloading. This enabled the concept of Compatibility Updates (CU’s) to be implemented, in which an attempt was made to create blocks of aircraft having the same or similar configurations. The articles (F-117s) were moved to and from the depot by C-5 under the cloak of darkness, in order to maintain program security. This meant that the aircraft had to be defueled, disassembled, cradled, and then loaded aboard the C-5, flown to the depot, and unloaded before the real work could begin. Of course, this meant that the reverse actions had to occur at the end of the depot work before the article could be reassembled, flight-tested, and redelivered to the operating Group. Another limitation, caused by the need for secrecy, was that the articles could not be moved around outside of Building 602 for the same reason they could not be flown to and from Palmdale. This meant that a separate facility for fueling / defueling operations was impractical, so articles in work, and the depot building itself, smelled strongly of jet fuel. This caused some concern for the safety of the operation. The solution to that problem was to move the depot to Site 7 of Air Force Plant 42, adjacent to the Lockheed plant in Palmdale, as soon as possible. The Combined Test Force (CTF) was also eventually moved to the same site. This co-location allowed synergies and economies among the Lockheed support personnel, a situation that continues to the present time. As the F-117A program gained momentum in the early 1980’s, the USAF made plans to “normalize” future support within the AF Logistics Command structure. While being a “black” program would probably never permit a support structure parallel to that for F-15s for F-111s, Sacramento Air Logistics Center was tasked in late 1983/early 1984 to prepare to take on full logistics and management responsibility for support of the F-117A. By fall of 1984, Sacramento item managers were sitting beside their Norton AFB Det 6 counterparts in what had become Det 51 of McClellan AFB. Similarly, warehousing personnel began preparing to move the entire program inventory from Norton AFB to McClellan AFB. Of course, this was all being done “in the black” by Sacramento personnel assigned to QL, a new directorate tasked with “specialized management” of tasks assigned by the ALC commander. By early January 1985, QL had been assigned ownership of Building 250I for administrative and management offices and four bays in Building 645, a wooden WWII structure, for warehousing. While on-the-job training continued at Det 51, other personnel remained behind in Sacramento to oversee the task of upgrading the facilities and their security provisions. Offices were built within 250I, new furniture procured and squeezed in, and an electronically shielded TEMPEST room built for operation of the mainframe computer that would handle part tracking, shipping, and ordering projections. Parallel facilities were built within the 645 warehouse on the other side of the base and linked with an encrypted data circuit. By mid June 1985, all preparations were complete and a C-130 landed with all the classified technical data, files, and safes. By the end of the day, trucks with unclassified material and equipment had arrived and were being unloaded; the first operations had begun. Over the next several weeks, trucks continued to transfer all materiel from the Norton warehouses to McClellan – all this without overt impact to the 4450TG users at the growing Tonopah AB. As the program grew at McClellan AFB, it was interesting to see the normal warehouse signs of aircraft logistics – tires, engines, boxes, and crates – stacked side-by-side with the unusual signs of expansion at the remote Tonopah operational site – beds, televisions, chairs, washing machines, gym equipment, toilet paper, and so forth. As a black program, nothing was shipped direct to the final destination, especially parts, and sometimes people. 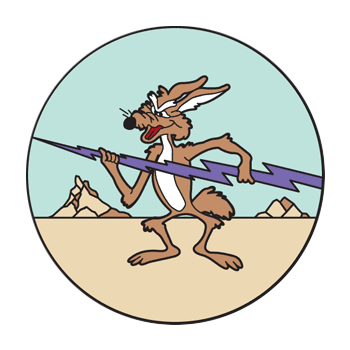 Things settled for a couple years into a relatively regular pace as QL focused on moving parts and supporting the Tonopah operations while the System Program Office (SPO) in Dayton focused on procuring airframes and system improvements. By 1987, the end of production was in sight and a phased program was established to incrementally transfer management of mature aircraft systems to QL from SPO. Final PMRT (Program Management Responsibility Transfer) from AF Systems Command SPO to the AF Logistics Command QL occurred on October 1, 1989 as parts for the last aircraft, 843, began to come together for delivery the following summer. Activity at QL picked up an order of magnitude in late summer 1990 when the Tonopah wing deployed most aircraft to Saudi Arabia for Operation Desert Shield. Support operations were made more difficult by distance, incomplete usage data from the maintainers, and the time differences. In a strange twist of circumstances, however, classification of stealth parts and material actually helped. Because the F-117’s Special Access Required classified parts had to be escorted at all times, program shipments always moved to the front of the transportation line. Large containers, especially those for engine exhaust tailpipes, were packed solid with smaller boxes of unclassified parts and vital CARE packages of magazines, games, candy, and other essentials. In a great blow to QL, 1995 brought news that McClellan AFB had been chosen for closure by July 2001. After a period of waiting to see if the closure order would stick, QL was courted by two of the remaining Air Logistics Centers, Ogden ALC near Salt Lake City, Utah, and Oklahoma City ALC in Oklahoma. Their proposals were basically to move QL management and logistics operations to those bases and continue business as usual. Also bidding for the job was Wright-Patterson AFB near Dayton, Ohio. Dayton’s approach was different, proposing movement of management activities there and logistics and warehousing activities to Palmdale, CA, under contract to Lockheed’s Skunk Works. By 1997, the decision was made to proceed with Wright-Patterson’s plan. A new (to the DoD) 5-year contract with an option for three additional years was negotiated for Total System Performance Responsibility (TSPR). Lockheed would assume most of the daily support operations, including all procurement, warehousing, and shipment of parts (engine excepted). August 1998 brought the official transfer of SPO responsibilities back to Ohio, followed by start of the TSPR contract in October. By May 1999, the McClellan warehouses were empty once more, and QL was disestablished. Former workers in QL had transferred elsewhere on base, moved with other programs to other ALC's, left or retired from Government service, and in some cases followed the program to Palmdale as new Lockheed employees. September 2000 saw most of the last former QL “Mushrooms” at McClellan AFB retire from Government civilian service. By that time, even the airfield control tower had closed and the entry gates were no longer manned. The base officially closed on July 6, 2001, and is now converting over to various civilian industrial uses. The original 645 warehouse complete has long-since been torn down to the foundations; the 250I office building stands empty and locked. All phases of instrument flight training. Instrument Flight Rules (IFR) navigation missions. Dynamic integration of aircraft emergency procedures into flight situations. There are two F-117 Weapons System Trainers, one at the Integrated Support Facility (ISF) in Binghamton, NY, and the other at Holloman AFB, NM, where it supports the 49th Fighter Wing (FW). The WST operated by L3 Communications – Link Simulation and Training at the ISF is used for hardware-software integration during software development for periodic WST upgrades. These upgrades coincide with the Block Cycle aircraft modifications so that the WST is kept concurrent with the aircraft and can serve as an effective training tool. The WST operated by the 49th FW is dedicated to continuation and mission training, emergency procedures practice, instrument training including spatial disorientation awareness, and qualification training for new F-117 pilots. The Holloman WST is flown an average of 10 hours a day and remains an essential tool for maintaining the high state of F-117 fleet readiness and combat capability. 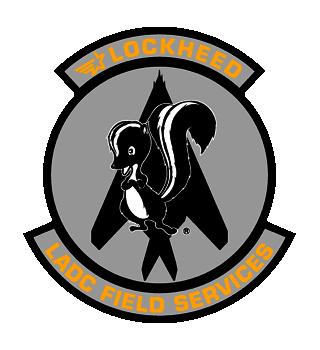 Concurrent with the establishment of the locations and support systems, the Lockheed Field Service Group was created in 1979 under the direction of Larry Bohanan. This team has demonstrated continually that the philosophy “We Care” does make a difference. Field Service team members have been a part of every deployment and exercise that the F-117 Weapons system has participated in.